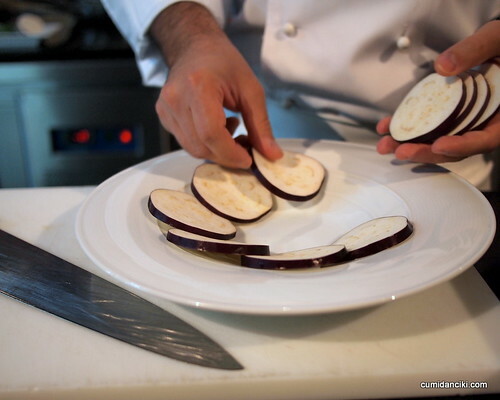 Well what you just saw was our interview with Chef Fabrizio – a talented and experienced Italian chef who has worked in many countries including Italy, France, the middle east and now Beijing. 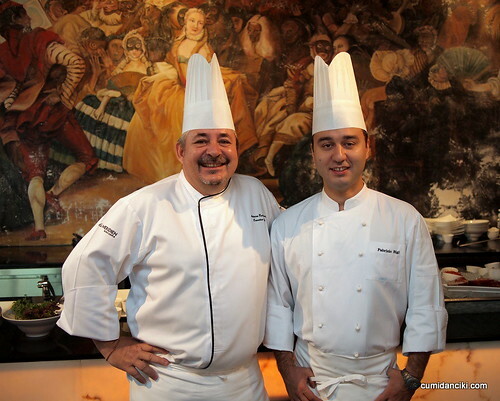 Chef Fabrizio heads Prego, The Westin Beijing but for the short period of one week, i.e. from the 4th to the 12th of June, he will be cooking a wide array of Italian dishes at Favola Italian Restaurant, Le Meridien KL. The ala carte menu will range from RM25++ to RM130++ and anyone who visits Favola during his stint will be able to order from a repertoire of 25 authentic Italian dishes. 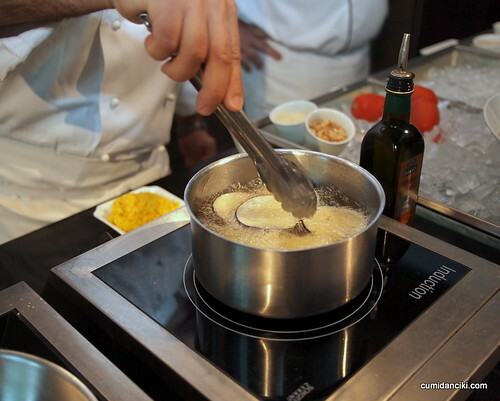 We were invited to Favola to sample Chef Fabrizio’s cooking and he actually conducted a cooking demonstration of 3 great Italian dishes that married the northern flavours of Italy (with slight French influences) and the southern part of Italy (more Mediterranean inspired). 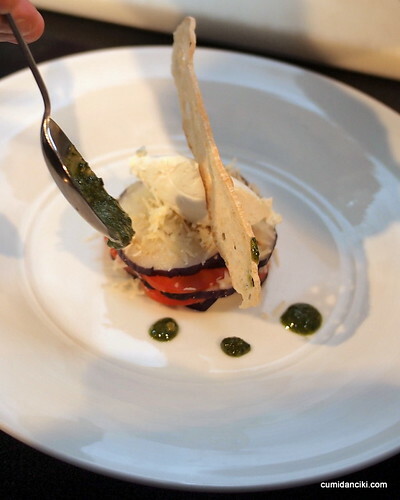 We got to sample the following three dishes, the Eggplant Millefeuille with Fresh Goat Cheese and Basil, the Spaghetti with Maine Lobster and Fresh Spring Herb Pesto, and finally, the Saffron Risotto with Crispy Seafood and Red Capsicum Sauce. 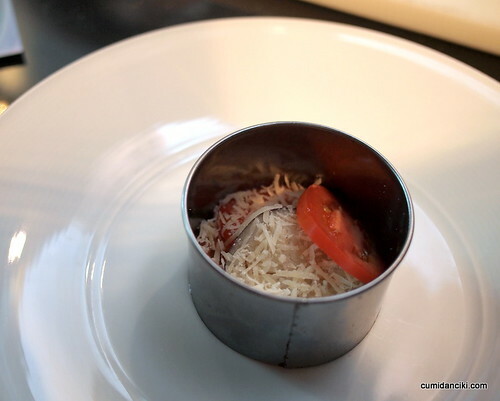 All three dishes were prepared in a jiffy (half and hour with pre-preparation, one hour tops, without) and tasted fantastic. I particularly loved the risotto dish and the pasta was a close second. 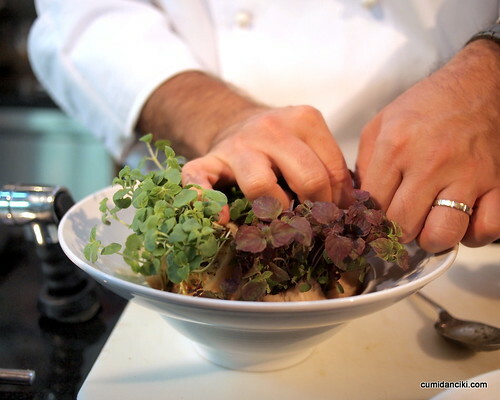 Chef Fabrizio’s cooking is light and uncomplicated, allowing the essence of the fresh ingredients to shine through. 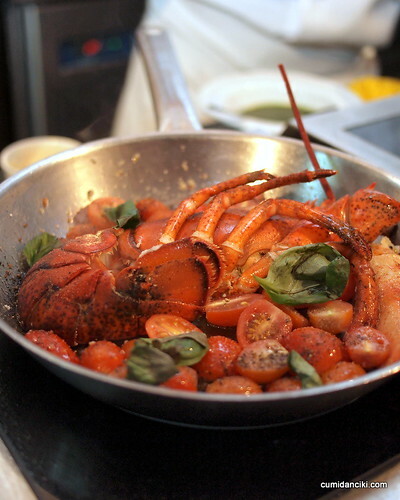 His sauces are fragrant and full of robust seafood flavour. 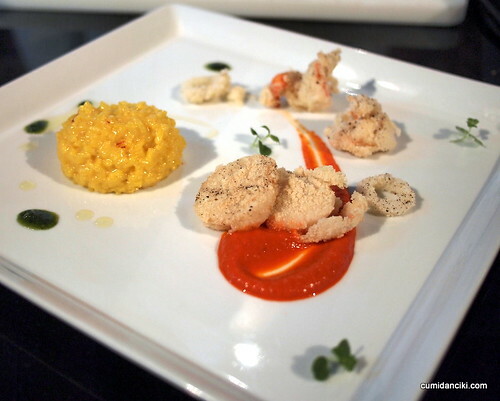 Here is a Video on how to prepare Saffron Risotto with Crispy Seafood and Red Capsicum Sauce.. enjoy! 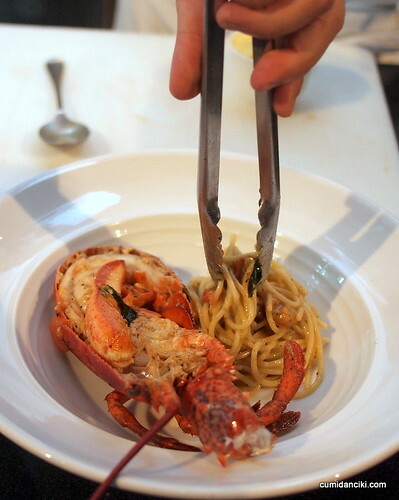 Voila.. Spaghetti with Maine Lobster and Fresh Spring Herb Pesto! True.. Already conquered China.. next America? India? Nice camera work sista! The camera loves him. love the videos, I think it heightens the overall feel of the event, and provides more info. 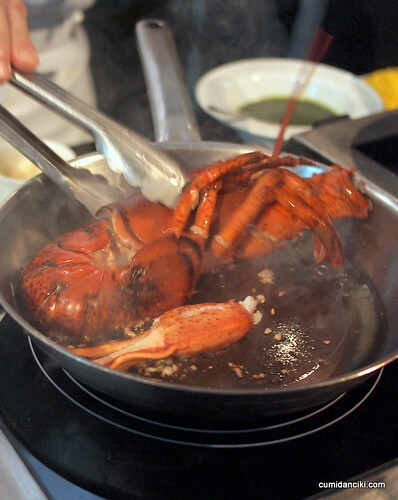 O.o those who prepare the misen place are the pros..
Wow those step-by-step photos of cooking the lobster is so cool! Make me want to go there and eat. He looks like a cool and nice guy! really Giulia.. wow! he’s famous i guess!